Gordon Wilson is the featured artist this month at Marshall Peterson's Marmot Art Space, 1202 West Summit Parkway in Kendall Yards. Gordon has taught generations of painters here in Spokane. As the chair of the Art Department at Whitworth University, he knows a thing or two about how to create great art. Gordon has spent many a summer with his wife, Angelika, in the famed hilltowns of Tuscany and Umbria in Italy as well as towns in Germany and France. Together, they grab their brushes and easels and head out into the city to meet the locals and to paint in the town squares the scenes before them. The Marmot also has works by Ric Gendron, Alfredo Arreguin and Ruben Trejo (both have work in The Smithsonian), Rick Davis, Jim Dhillon, Michael Dinning, Ken Roth and local favorite Melissa Cole. 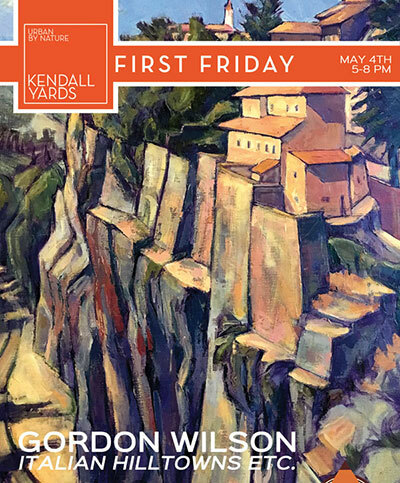 First Friday's reception is May 4, 5-8pm. Get more details at marmotartspace.com. The phone number is 509-270-5804. Cirque du Soleil's CRYSTAL, combines stunning ice skating and acrobatic feats that defy the imagination. It's at the Spokane Arena for 7 performances only, now through Sunday, May 6. 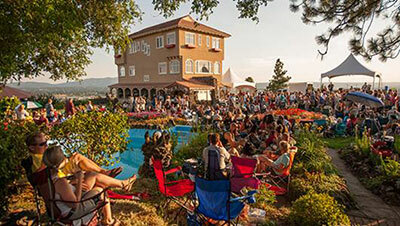 Arbor Crest Summer Concert Series begins this Thursday! Every Thursday thru September, a great place to get a jump start on your weekend is at the Arbor Crest Tasting Room stage. Enjoy wine, beer and food, along with the gorgeous gardens, great views and a varied lineup of live music, which runs from 5:30-7:30, the Estate stays open until 8pm. As the weather warms, local artists will display their work during the Thursday concerts. Thursday concerts have a $5 admission. On Sundays, Arbor Crest will showcase local stars and up-and-comers with bands that represent the finest of their musical genres, from rock and blues to country and soul. Sunday concerts end at 8pm, the Estate closes immediately after. There will be a few surprise treats throughout the season, like popular food trucks and barbecue grill nights. Sunday concerts have a $10 admission. This Thursday, May 3, enjoy the jazzy, bluesy musicianship of the Craig Catlett Trio at the Tasting Room stage. And this Bloomsday Sunday, May 6, enjoy an evening of upbeat, danceable rock, jazz, pop, R&B, with One Street Over, as they perform at the Cliff House Stage. So come to Arbor Crest this week and enjoy the tulips, wine and music. Season passes available. For more information, visit arborcrest.com or call 509-927-9894. 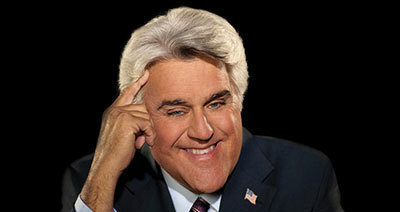 Former Tonight Show host Jay Leno comes back top Northern Quest this Sunday, May 6 for two shows, 4pm and 7pm. Go to northernquest.com for your seats. 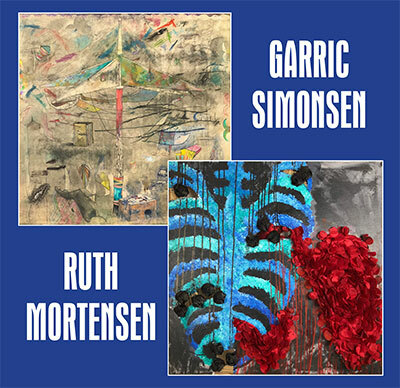 Kolva-Sullivan Gallery at 115 South Adams, presents artists Garric Simonsen and Ruth Mortensen in a show featuring Drawing, Painting and Mixed Media on paper and board. There's an opening reception this Friday, May 4 from 5-9pm. The show runs through May 26. The gallery will be open on Saturdays, May 5, 12, 19 and 26 from 11am-3pm. The website is kolva.comcastbiz.net. Finnish cello metal band, Apocalyptica, celebrates the 20th anniversary of the release of their epic debut album, Plays Metallica by Four Cellos, which changed the landscape of heavy metal music. The group has gone on to create their own genre, releasing seven albums with millions of records sold. 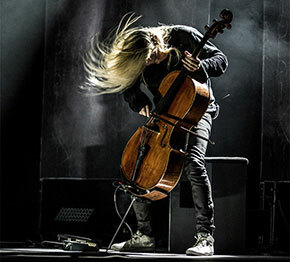 Catch Apocalyptica live in Spokane at the Martin Woldson Theater at the Fox, Monday, May 7 at 7:30pm. Tickets available at the Box Office, or by calling 509-624-1200, and at www.ticketswest.com or 800-325-SEAT. Spokane Arena's Bucket List is Back! Since starting The Bucket List in 2014, The Spokane Arena has brought 23 of the shows you requested to town. Well, The Bucket List is back. Go to www.spokanearena.com and submit your top three bucket list band requests and they will see what they can do to make your concert dreams come true. You have until Wednesday, May 9 to submit your requests. Seattle native Aubrey Logan will be performing with the Spokane Symphony as part of their Pops series, this Saturday, May 5, 8pm at the Martin Woldson Theater at the Fox. Morihiko Nakahara conducts. Whether she's jamming' on her trombone or sailing through a song with her multi-octave vocals, Aubrey captivates audiences, performing jazz, neo-soul, classic rock and more. Pages of Harmony's Spring Show featuring Featuring Throwback, is this Saturday, May 5, 3pm, at Valley Assembly Church, 15618 E Broadway in Spokane Valley. There will also be appearances by Lake City Harmonizers, Make it a Double, Nice n' Easy, Front Porch Swing, and Blue Jeans. For tickets and more information, visit pagesofharmony.org, or ticketleap.com.